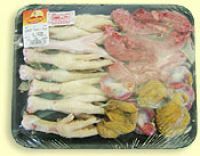 Suncrest Chickens (Pvt) Ltd is Zimbabwe�s largest producers of dressed chickens, currently commanding 65 percent of the local market. The Head Office is located in the city of Harare, located along Amalinda Road, off Simon Mazorodze Road in town. Suncrest operations include inbound- and secondary production, packing, and dispatch. Operations at the company factory begin when six week-old broilers are collected from a selection of nineteen contract growers. 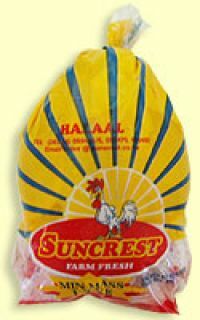 Suncrest is very efficient, processing more than 4,500 birds per hour. High value is placed on quality and the production line is constantly inspected by a team of quality controllers to ensure that all products are disease-free. Suncrest production has an average daily turnover of 40,000 live birds when operating at full capacity. This translates into 56 tonnes of processed and packed chicken meat, with an average production cycle of 2 days. Suncrest stores this meat in its three blast freezers with 60-tones of storage capacity and three cold stores with 600-tonnes of storage capacity. Quality control and meat inspectors examine the production line to ensure that no sub-par product is processed into dressed chicken. Any disease or problem that is identified is verified by sending a sample to Vetco for analysis. A report is then sent to the affected growers and other involved parties (Ross Breeders or Agrifoods), who are able to take the necessary precautionary or corrective actions. All exports and deliveries outside Harare are sealed and signed off to comply with regulations from the government veterinary services department. Suncrest is currently developing a Hazard Analysis and Critical Control Points (HACCP) System, for accreditation that will allow the export of products into South Africa.